Charlie Constable celebrates kicking a goal against the Crows. 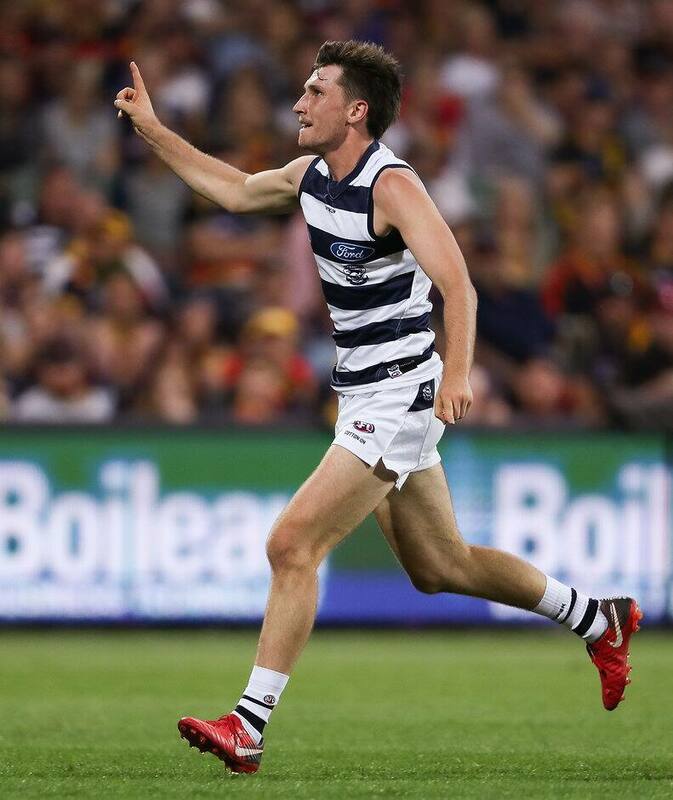 GEELONG midfielders Tim Kelly and Charlie Constable have been charged with making careless contact with umpires in Thursday night's win over Adelaide. Both players can accept $1000 fines for early guilty pleas for their first offence. Constable was cited in the opening quarter for contact with Brett Rosebury, and Kelly was charged for making contact with Andrew Stephens. The AFL announced a crackdown on umpire contact in December, with Match Review Officer Michael Christian given more power to slap players with fines for incidental contact.